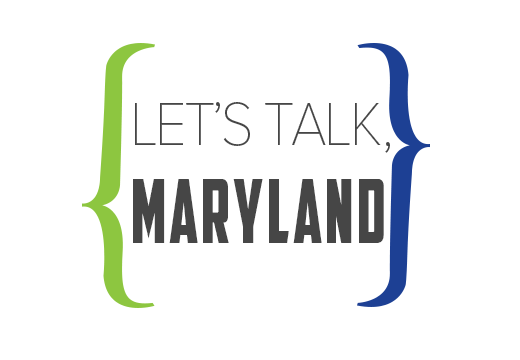 Maryland Humanities is embarking on a series of discussions centering on issues that greatly impact our lives. Reform of the US criminal justice system is arguably one of the most pressing civic issues facing our democracy. Lauded as among the world’s most fair and equitable, many deem it “broken.” How informed are we? What can we do to fix it? In speaking about the inequities of our system, public interest lawyer Bryan Stevenson has stated, “We are all implicated when we allow other people to be mistreated.” We invite you to join us as we delve into some of the complexities of today’s society. Whether your community is urban, suburban, or rural, headlines abound with stories of anxious, dangerous or even deadly encounters between law enforcement and civilians. While there remains much respect for police officers and the difficulty of their work, tensions with communities across the country have been on the rise. 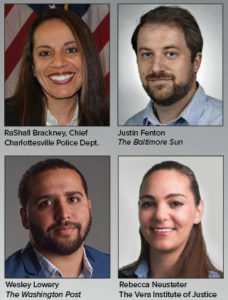 Join us for a conversation between RaShall Brackney, Chief of Police, Charlottesville Police Department; Justin Fenton, Crime Reporter, The Baltimore Sun; Wesley Lowery, National Correspondent, The Washington Post; and Rebecca Neusteter, Director of Policing, Vera Institute of Justice that will touch on the recent history of law enforcement, effective models of community policing, and the role of both police and the public in this heightened time of mistrust in law enforcement. Moderated by Andrew Green of The Baltimore Sun. Free, but reservations required. Please arrive early as any seats remaining when the program begins will be open to walk-up attendees. 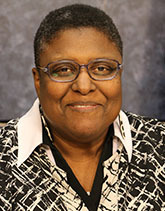 RaShall M. Brackney retired as a 30-year veteran from the Pittsburgh Bureau of Police and served as the former Chief of Police of the George Washington University prior to her appointment as the Chief of Police for Charlottesville, Virginia. During her tenure as a law enforcement professional, she has been responsible for overseeing critical operations to include Administrations, Patrol Operations and Investigations. Most notably, she was the first African American female in the nation to oversee a Special Operations Division which included SWAT, Mounted Patrol, Accident Investigation, Hostage Negotiations, River Rescue, Traffic and the “Bomb” Squad. Dr. Brackney is a recognized expert in the areas of harm reduction, procedural and restorative justice practices, and community-police relations. Dr. Brackney earned Bachelors and Masters Degrees from Carnegie-Mellon University and a Ph.D. from Robert Morris University. Justin Fenton, who joined The Sun in 2005, has covered the Baltimore Police Department since 2008. His work includes an investigation into Cal Ripken Jr.’s minor league baseball stadium deal with his hometown of Aberdeen and a three-part series chronicling a ruthless con woman. Wesley Lowery is a Pulitzer Prize-winning national correspondent for The Washington Post who covers law enforcement, justice and race. 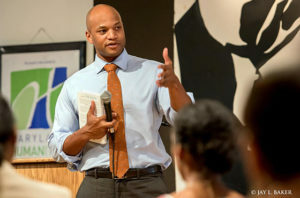 At the Post, he helps lead criminal justice data collection projects, including Fatal Force, an ongoing database tracking fatal police shootings, and Murder with Impunity, which identified the neighborhoods in major American cities where homicides almost always go unsolved. Rebecca Neusteter is an experienced researcher and practitioner in the field of criminal justice. She has implemented, managed, and evaluated various programs designed to improve the effectiveness of the criminal justice system and currently serves as the Vera Institute of Justice’s director of policing. Rebecca holds a PhD in Criminal Justice from John Jay College of the Graduate Center, City University of New York, an MS in urban policy analysis and management from the Milano Graduate School of the New School University, and a BA in sociology from Chapman University. Whether or not society chooses to acknowledge it, mass incarceration affects not just victims and the incarcerated, but families and entire communities. The trauma can span generations. 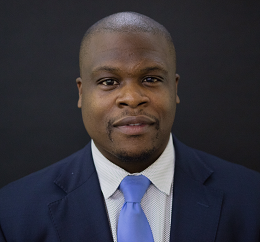 Tony Lewis, Jr. is an author, community leader, workforce development specialist, re-entry expert, and champion for children with incarcerated parents. He is also the son of one of Washington, D.C.’s most infamous drug Kingpins who suddenly had to navigate the dramatic turn his life took following his father’s incarceration in 1989. Join us as Mr. Lewis speaks about his struggle with the loss of stability, isolation, and the breakdown of his family after his father entered federal prison, his personal path to success, and how laws and practices within the system continue to feed the cycle of mass incarceration. This screening will be followed by a discussion with filmmaker Rick Stack and Pulitzer Prize-winning journalist and Associate Professor at Morgan State University, E. R. Shipp. Rick Stack’s professional life is dedicated to social justice. 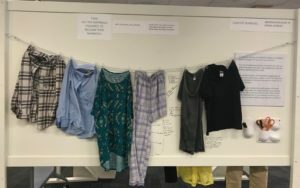 Working in the Jackson County (MO) Public Defenders Office, he has learned, first-hand, just how many mistakes, large and small, are made daily in a courthouse. This experience led to his questioning of the reliability of severe sanctions based on a system susceptible to human error. In the late 1970s, Stack’s research on global resource issues brought him to Washington, DC where he has held a series of jobs devoted to fighting global and local hunger and poverty. 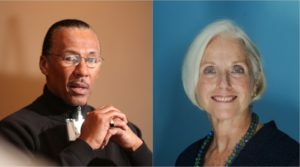 In the 1980s, Stack became the Founding Executive Director of the Capital Area Food Bank and the first Board Chair of the DC Central Kitchen. In 1984, he developed and taught the course, “Politics of Hunger” as an adjunct instructor at American University. 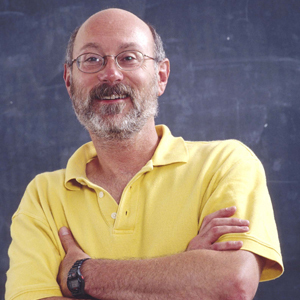 He was later awarded tenure and promoted to the rank of Associate Professor in the 1990s. His academic research continues to focus on the intersection of the courts and the media. Stack has written numerous journal articles and made many conference presentations on the social justice. His first two books, Litigation Public Relations: Courting Public Opinion  and Courts, Counselors & Correspondents: A Media Relations Analysis of the Legal System , pioneered the field of litigation communication. 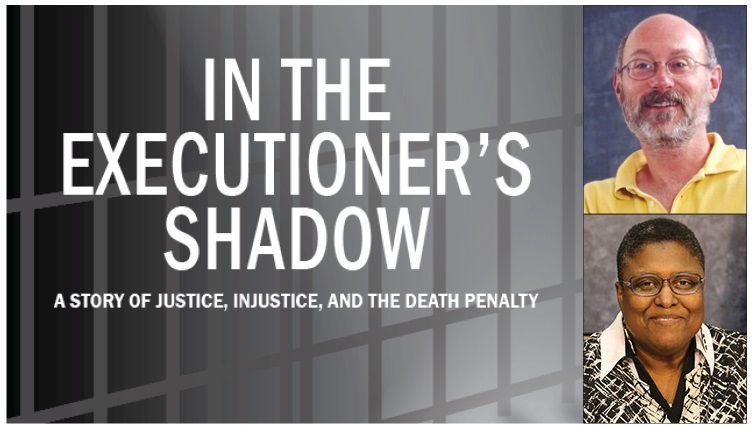 His more recent books draw from his experiences in the Public Defenders Office and years of service as a pro bono communication strategist for the National Coalition to Abolish the Death Penalty. This work applies theories of litigation public relations to influence popular opinion about capital punishment. His third book, Dead Wrong: Violence, Vengeance, and the Victims of Capital Punishment , helped reframe national debate from “Is the death penalty a deterrent to crime?” to “Can we trust our government to make such irreversible life-and-death decisions, when it makes so many mistakes?” Grave Injustice: Unearthing Wrongful Executions  takes the innocence argument further. It tells the stories of men who were executed even as serious doubt persists in their cases. E. R. Shipp is a journalist-scholar with advanced degrees from Columbia University—as well as from life, which has been no crystal stair. She is a founding faculty member of the School of Global Journalism and Communication at Morgan State University, where she currently directs the school’s new Baltimore Reporting Project. She is a 1996 recipient of the Pulitzer Prize, considered one of the most prestigious awards in American journalism. She was the first black woman to receive the Pulitzer in the category of commentary. Her career in journalism has taken her to The New York Times, The New York Daily News, and The Washington Post. She currently pens a biweekly column for The Baltimore Sun and is a frequent commentator on public radio. She is a member of the National Association of Black Journalists, the Association of Opinion Journalists, the Organization of News Ombudsmen, the Abyssinian Baptist Church in New York City, and The Open Church of Maryland. Though born in Conyers, GA when it was still rural and televisions, telephones, indoor plumbing, and paved roads were luxuries, she considers home to be the village of Harlem in New York City. These events are part of the “Democracy and the Informed Citizen” Initiative, administered by the Federation of State Humanities Councils. We thank The Andrew W. Mellon Foundation for their generous support of this initiative and the Pulitzer Prizes for their partnership. 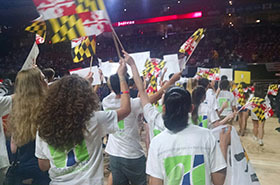 We also thank Venable Foundation and Baltimore Bar Foundation for their support. 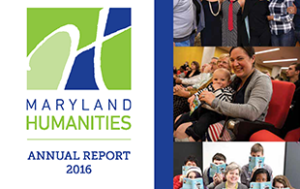 Presented in partnership with The Baltimore Sun, the Maryland Institute College of Art’s MFA in Curatorial Practice, and Choose Civility Howard County.